Do you have a swing gate which is uneven or a sliding one that keeps reversing? Our company is here to help. Our repair work begins with a detailed inspection. We will also run tests, if needed, to get to the cause of the problem. Our goal is to deal with any issue in the shortest possible time. If the hinge welding is damaged, we will fix it. If you have a bent track, rely on us to straighten it. In case there is a broken wheel, we will replace it with a matching one. We are equipped with high-quality spare parts. Our repair services cover all gates, regardless of their size, make and level of automation. 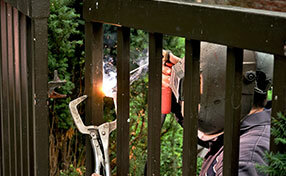 You can count on us to fix even the most advanced residential security gates. When you have a problem with your opener, you can use our repair services with confidence. We will fix your unit, regardless of its design and brand. Whether there is a need for replacing a broken chain or sprocket or for repairing the motor, rely on us to do the job quickly and accurately. Our services for openers include installation too. Our first task will be to help you choose the best residential gate opener for your needs. Rely on us to answer all of your questions and to give you the advice you require in order to make the right decision. Our service includes installing the motor, hardware, the keypad and more, and programming the controls. Our team is available to take care of your automatic gate and all its components. Our work begins with checks and tests for identifying any problems. If we find an issue, we will deal with it without wasting time. In case your opener’s chain is loose, for example, we will adjust it and remove some of the links, if necessary. Lubrication is an integral part of our service. 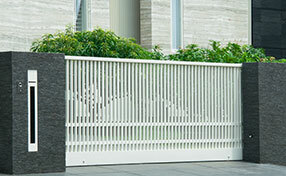 With it, the gate can work smoothly and quietly all the time. 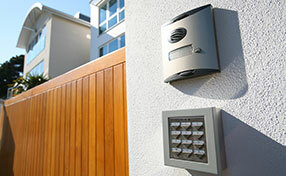 Our service covers automatic residential gate openers. You can expect accurate readjustment of the force and reprogramming of the clickers, whenever needed. We will take proper care of your intercom system too. turn to our company, Gate Repair Castaic, today!